Scotland has the potential to be a "world leader" in precision medicine, according to the first minister. Nicola Sturgeon is due to address an industry summit on the subject in Perth on Monday. Precision medicine is the tailoring of medical treatment to the individual characteristics of each patient, using genetic information. Ms Sturgeon will announce £4.2m of investment over the next three years to back developments in this field. The Precision Medicine Summit will bring together representatives from industry, the NHS, government and academia to discuss how Scotland can capitalise on its strengths in this area of healthcare. Ms Sturgeon is expected to say: "Precision medicine has huge potential for transforming the way illnesses are treated, promising a revolution in healthcare - and Scotland has the potential to be a world leader in the field." She will tell delegates that the investment of £4.2m over the next three years will be targeted in a number of different ways. "It will be used to enable Scotland to continue to participate in the 100,000 Genomes Programme and to collaborate with Genomics England," the first minister will say. "And it will ensure that Scottish patients, by having their genomes sequenced, can continue to receive more accurate and precise diagnoses. "We'll also invest in the workforce that Scotland will need for all of this. "As part of that, we will fund the creation of training schemes and new resources for staff - within our clinical and laboratory services, and our NHS." 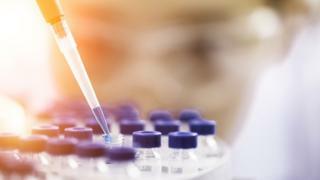 Ms Sturgeon will say that the funding will also help ensure Scotland has a central facility for storing genomic data which "will allow for more efficient sharing and analysis of data for clinical diagnoses and valuable future research". She will add: "That will be good for patients, as we come up with better treatments. And it will of course have economic benefits, if those treatments have application around the world."